Share questions and answers here along with students and teachers from NM and around the country. So here are my questions for you. Post your answers so that we can share and grow in our scientific knowledge. 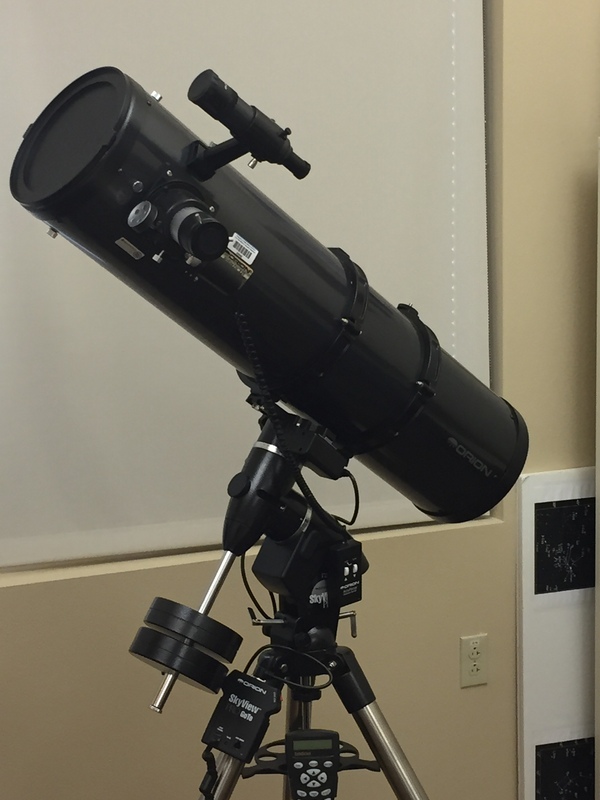 Here is a picture of the reflecting telescope that we have here at NMSBVI. It has a primary mirror diameter of 8 inches. The primary mirror on SOFIA’s telescope has a diameter of 2.5 meters. How many times bigger is SOFIA’s primary mirror than ours? For this question, you’ll have to look in “THE SOFIA BOEING 747SP” posting. Who was the aircraft named after and what is this person’s role in history? This one is a bit more obscure and I’m not going to give you any hints just yet, but with a bit of searching, you should find this one. My flights will have a connection with Dr. Martin Luther King. How so? You all are pretty quiet on this one. Here’s a hint: Research our special guest. How did workers get Space Shuttle Endeavour through the streets of Los Angeles to its current museum location? What are scientists finding at the La Brea Tar Pits? You got it Katie! Don’t stop there though, there is a second part to the question – what was his role in history? Not quite Katie – keep on trying with this one. Right on Deanna!! Good Job! You are correct Deanna. Look at the second half of the question too – what was his role in history? Yes Katie, NASA does want to find out more about our solar system, and SOFIA is a tool that they use to help answer some questions. You’re thinking along the right track Favian, but the question asks how many times larger SOFIA’s telescope is than ours. Give it another try. You are correct Favian. So what was his role in history? Very good Carybeth. It is named after Charles Lindbergh. Have you found out anything about the second half of the question – What was his role in history?